Emerging technologies, digital transformation and global volatility continue to impact organizations worldwide - as well as entire industries - transforming the global economy and changing the required DNA of today's top executives. An ever-shifting business climate that commands constant growth and innovation also demands a new breed of leadership. Business leaders across all industries are racing to attain new levels of growth by moving beyond the sustainable innovation models of yesterday. AESC's Asia Pacific Conference is the premier event in the region for our profession and will deliver critical content to help trusted advisors, and the clients they serve, stay at the forefront. Join us in Singapore on September 13, 2018. This event is open to both AESC Members and nonmembers. Experience an immersive program of inspired speakers, thought-provoking sessions, provocative questions and networking with global peers. 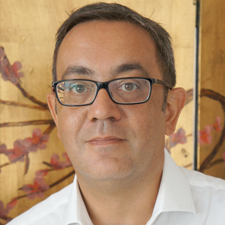 Before joining Eric Salmon & Partners, Fabrice Desmarescaux was the Managing Partner and co-founder of DTCA, a leadership advisory firm based in Singapore. He brings his extensive business and search experience to Eric Salmon & Partners' clients and candidates, particularly to help refine search strategies and discuss leadership and organizational issues. His work spans industries and his clients include private investors, Asian families, Singapore and Indonesian corporations, and the world&rsquo;s leading consulting firms. Prior to that, Fabrice was a partner at global executive search firm Spencer Stuart where he led the financial services and the professional services practices across Asia-Pacific. Before moving to Executive Search, Fabrice was a partner at McKinsey & Company leading the Southeast Asia financial services practice. He was also part of the Temasek / Fullerton Financial Holdings team seconded to Bank Danamon Indonesia during the restructuring of the bank. He has also served on the Board of Directors of NIB Bank and the Asian Advisory Council of INSEAD. Fabrice is a former president of the Singapore INSEAD alumni association, a former visiting professor of finance at INSEAD, and a yoga teacher. He graduated from Ecole Centrale de Paris (MSc Engineering) and INSEAD (MBA) and he has been residing in Asia full-time since 1997. We are at the cusp of the Fourth Industrial Revolution, which according to the World Economic Forum, "will fundamentally alter the way we live, work, and relate to one another. In its scale, scope, and complexity, the transformation will be unlike anything humankind has experienced before". While organizations are busy grappling with digital transformation and disruption, three other major disruptions are about to break out. The Cognitive Disruption, Virtual Disruption and Trust Disruption, enabled by the new generation of intelligent technologies, will soon be unleashed creating the Netflix effect for many industries and established corporations. What are these three major disruptions? And how will they transform the future of work, leadership and talent in the coming years? Charlie Ang is a business futurist, venture investor, and innovation evangelist. He is deeply passionate about future trends, strategic innovation and disruptive technologies. He is the Founder of Everything40.com, and Partner at KIATT, a deep technology and commercial science global venture capital firm. Charlie was the Chief Innovation Officer of Singapore-based First Media Group, a regional communications, design and educational agency. Charlie received his MBA from the NUS Business School and BSc (First Class) Honours in Computer Science from University of Manchester, UK. He completed strategic futures and innovation executive programmes at Singularity University in Silicon Valley, Oxford University's Said Business School and Stanford University. 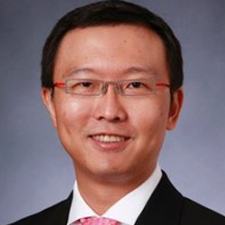 He is a regular speaker on the future of business, work and education and has been frequently featured in the media, including The Straits Times, The Business Times, Channel NewsAsia, MediaCorp Channel 5, Financial Times, Singapore Business Review, TODAY Paper, 938 LIVE FM, e27, and Yahoo! Singapore. Author, Anna Simpson, will outline the case for companies to develop an innovation-friendly culture. This engaging talk will unpack key elements of innovation-friendly organizations: Diversity, Integrity, Curiosity, Reflection and Connection. Anna Simpson will highlight case studies to illustrate these principles in practice and the significant difference they make to organisations. Anna Simpson is Director and Chief Innovation Coach at Flux Compass, a boutique consultancy helping companies and individuals embrace change and thrive in it. She is also Curator of the Futures Centre, an online hub tracking change to accelerate sustainability at Forum for the Future. She is the author of two books: The Innovation-Friendly Organization (Palgrave Macmillan, 2017), in which she asks how organisations can develop a culture that embraces change, and The Brand Strategist's Guide to Desire (Palgrave Macmillan, 2014), in which she challenges brands to shift their emphasis from sales to fulfillment. 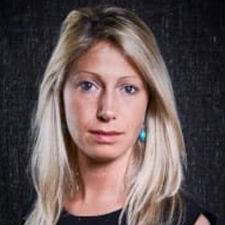 With a background in journalism, Anna was previously Editor of the sustainable solutions magazine, Green Futures. She was educated at Oxford University and the School of Oriental and African Studies, London. She lives in Hong Kong. Technology continues to disrupt our lives from every angle. Digital transformation has been a theme — often a mandate — for many years and the number of disruptive technologies on the horizon continue to proliferate. 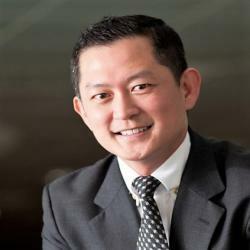 Peter Ho, Partner - Digital Transformation & Innovations, Deloitte, will share his perspective on some of the most talked about disruptive technological forces on the horizon as well as their potential impacts in Asia. Nicholas Sutcliffe will lead an engaging, evidence-based session focused on how Asian business will need to leverage talent and organizational culture in an era of transformation and global volatility. 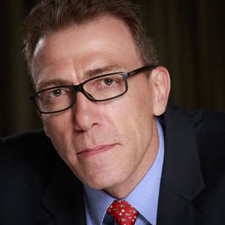 Nicholas Sutcliffe is the executive director of The Conference Board for Asia. He is responsible for the strategic development and growth of The Conference Board operations within the region and shares responsibility for enhancing the organization&rsquo;s stature and reputation as a relevant, objective, and ethical institution serving business and society. Having worked in Asia since 1994, Nicholas has a deep understanding of the cultural and social issues that affect the region and a passionate interest in Chinese and Indian business relations and cultural drivers. He has been published in newspapers as varied as South China Morning Post and Hindustan Times. Prior to joining The Conference Board, Nicholas was responsible for establishing a knowledge-processing outsourcing center in India for a UK-based media company. He established a 300-employee research center that focused on business operations and strategies across seven vertical industries. Nicholas has an extensive track record in global media solutions and research for C-suite executives. He has worked throughout Asia, the Middle East, India, North America, and Europe. What are the most critical challenges facing global business leaders? How are organizations reinventing themselves for the digital age with a new generation of leaders? It's clear that talent issues are business issues. How do we help our clients gain a strong competitive advantage? Join Karen Greenbaum as she explores critical leadership challenges. 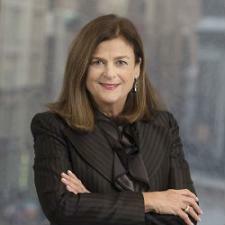 Karen Greenbaum is President and CEO of the Association of Executive Search and Leadership Consultants (AESC), the global association representing the nearly $13b+ profession worldwide. with membership of 325 firms in 72 countries around the world. AESC's rigorous Code of Professional Practice and Standards of Excellence guide its members, spanning nearly 1,300 offices in 74 countries and beyond, to serve as strategic advisors on behalf of their clients. AESC members are best positioned to provide companies with a competitive advantage -- the ability to find, attract and develop the best talent in the world and ensure that executives are successfully integrated. A panel of thought leaders with pertinent experience with Asian businesses, start-ups, and established multi-nationals will explore how business in the region is adapting to rapid change and will look at the attributes of the talent needed to drive it into the future. Seasoned Senior Digital Business leader driving revenue and accelerating organization future-proofing and transformation. Focusing on Digital Commerce (online, online-to-offline, partnerships, telemarketing), Customer Experience, Digital Marketing, FinTech, Innovation and Technology. Characterized by strong leadership and entrepreneurial aptitude, complemented by 13 years of outstanding hands-on expertise in business and technology aspects of digital, partnerships, business & customer strategies across multiple industries and geographies. Tomasz is passionate about technology, driving impact through innovative products and building from grounds up high performing multidisciplinary teams at scale. 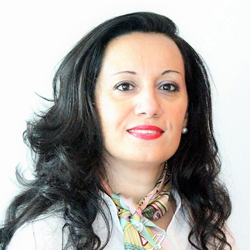 Dr. Vedrana Savic is a professional thought leader and corporate strategist, with extensive international experience, encompassing senior roles in organic growth strategy, mergers & acquisitions, innovation strategy, research, and strategy consulting (serving financial services organizations in Asia Pacific). Currently the Managing Director of global thought leadership in the Accenture Research group, focused on contemporary business and social issues brought by technology-led industry disruption, value creation in the digital age, as well as innovation and investment strategy. Dr Savic has a strong academic background in corporate governance (board behaviour), business and commerce domains with focus on e-commerce/digital business. 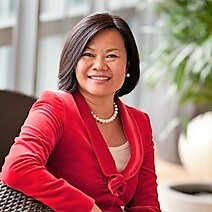 Jovina Ang is a faculty member at National University of Singapore (NUS) Business School, an author, and an advisor to Fortune 500 companies. Previously, Jovina was a corporate executive with more than 20 years of experience working for Fortune 500 companies. She has transformed businesses, reinvented organisational culture, elevated employee engagement, and enhanced corporate reputation in multiple market leading multinationals in the Information Technology industry including Microsoft, Cisco Systems, and Dell. She was also the Diversity and Inclusion champion for Microsoft and the Women-in-Business Group – a partnership comprising Cisco Systems, Dell, Microsoft, and Oracle. Jovina has received multiple awards including the Women Leadership Award from CMO Asia, and the Strategic Communication Management (SCM) award for Leader of the Year from Melcrum. She has been invited to speak at worldwide conferences on the topics of communication, change management, and women and leadership. She has authored two books – “Leadership communication. Connect. Engage. Inspire.”, and “The game plan of successful career sponsorship” (upcoming). She holds a PhD in Business from Singapore Management University (SMU), an MBA from Macquarie University, and a Master of Commerce (Marketing) from the University of New South Wales, Australia. 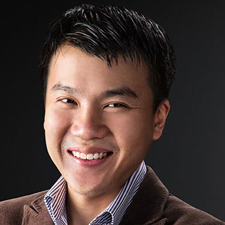 Francis Goh is the CEO of HehSed Consulting, which specializes in digital innovation, corporate strategy and leadership development. He has been a mentor at the Nanyang MBA faculty. As a serial entrepreneur, he has been a mentor and advisor to more than 100 startups and entrepreneurs. Prior to this he was the CEO at the global HR consulting firm, Mercer. Francis has >20+ years of international experience in the technology and energy industries, having had numerous P&L and high impact leadership roles with global leaders such as Accenture, SAP, HP, Microsoft and ExxonMobil. During this time, Francis has worked across Asia, Europe and the United States. Francis specializes in the areas of emerging solutions, breakthrough business models and innovation. He has a proven track record in building high-performance teams and overachieving both revenue and profit targets consistently. 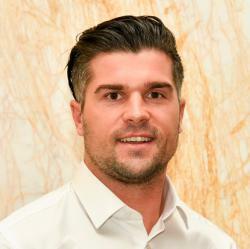 He has a strong reputation for developing and deploying new business go-to-market strategies across sales, operations and resource management. He establishes core innovative business models which further enhanced brand positioning and grew both topline and profits as a result. Francis is a hands-on leader with deep solution and value-selling expertise across a broad spectrum of clients in the Asia Pacific region across industries such as Retail, Supply Chain, Oil &Gas, FSI, telco, manufacturing and the government. Francis is passionate about customer experience, managing and coaching high-performing talent. He is also a recognized keynote speaker and is frequently invited to speak at various industry platforms. The past two decades have witnessed an unprecedented shift of global economic growth from West to East. Analysts predict that the region could become the world's largest economy (by GDP contribution) by 2030. While Asia assumes unprecedented prominence on the global map from a business standpoint, Asian leaders comprise only a small fraction of the global leadership teams in most global organizations. Sunil Puri of CCL looks at the critical capabilities Asian leaders need to develop as they seek global success and how global organizations can get a better handle on developing a global Asian leadership pipeline. Sunil Puri is a seasoned leadership and human capital researcher and thought leader with over 20 years of experience across large global organizations. Prior to CCL, Sunil served as head of Research and Insights at Human Capital Leadership Institute (HCLI), a center of excellence set up by the Singapore government to uplift the level of talent and leadership capabilities in Singapore/ASEAN. At HCLI, his work involved identifying, analysing, documenting and teaching strategic HR and Asian leadership trends and practices. He led the institute's pan-Asia research initiatives, advised western MNCs on regional talent strategies across ASEAN, designed CXO-level leadership training programs, and developed and delivered modules in executive education platforms. 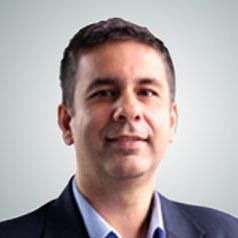 Sunil also spent over eight years at CEB's (erstwhile Corporate Executive Board) India office, with key responsibility of engaging and advising heads of HR in top 100 organisations on diverse strategic HR areas such as employee engagement and retention, performance management, HiPO development, succession planning, organisation design, and employment value proposition. In his current role, he is responsible for leading research around leadership and leadership development in the region, and sharing the Center's point-of-view with key stakeholders. His current research interests include Asian leadership, global leadership development, and cross-cultural influences. "Overall the benefit was threefold for me - raising our brand awareness, some interesting content and networking opportunity. It was a good conference and it provided plenty of networking opportunity." "Thank you to the AESC for organising and hosting a very good conference. I personally took away a lot of ideas and thoughts from the event. Thank you."